Huntsville, AL –Remington Outdoor Company recently recognized their top sales partners for 2018. 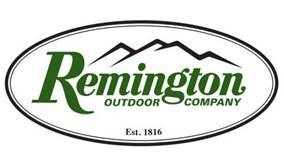 2018 Remington International Distributor of the Year – PB Dionisio & Co., Inc.
2018 Remington Canadian Customer of the Year – Bowmac Gunpar, Inc.
About Remington Outdoor Company, Inc.
Remington Outdoor Company, Inc. (“ROC”) is a private company headquartered in Madison, N.C. that owns and operates a number of companies and brands that manufacture and sell firearms, ammunition, silencers, and related parts and accessories. Its major facilities are located in New York, Alabama, Arkansas, North Carolina, South Dakota, Tennessee, and Utah. Its major brands include Remington, Marlin, Advanced Armament Corp., Bushmaster, DPMS, Storm Lake Barrels, Dakota Arms, Nesika, H&R 1871, Para, and Barnes Bullets. This entry was posted in Uncategorized and tagged Remington, Remington Outdoor Company. Bookmark the permalink.